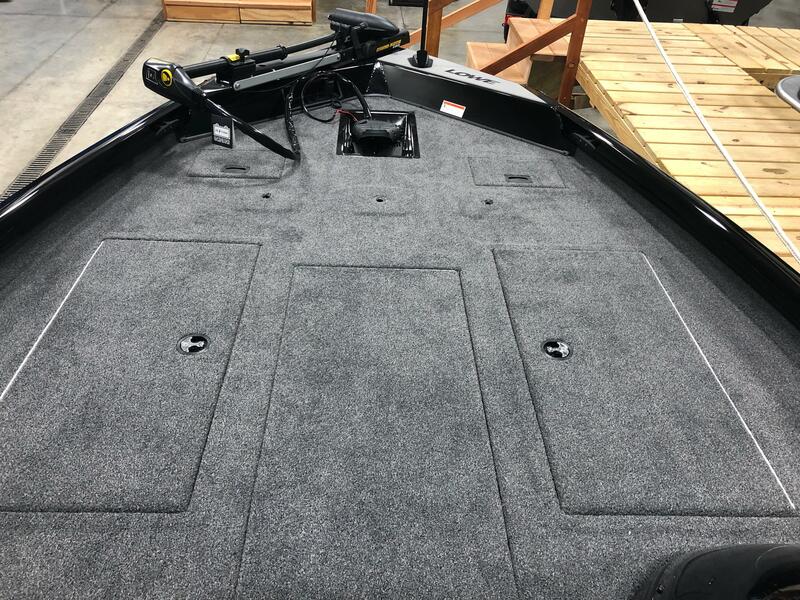 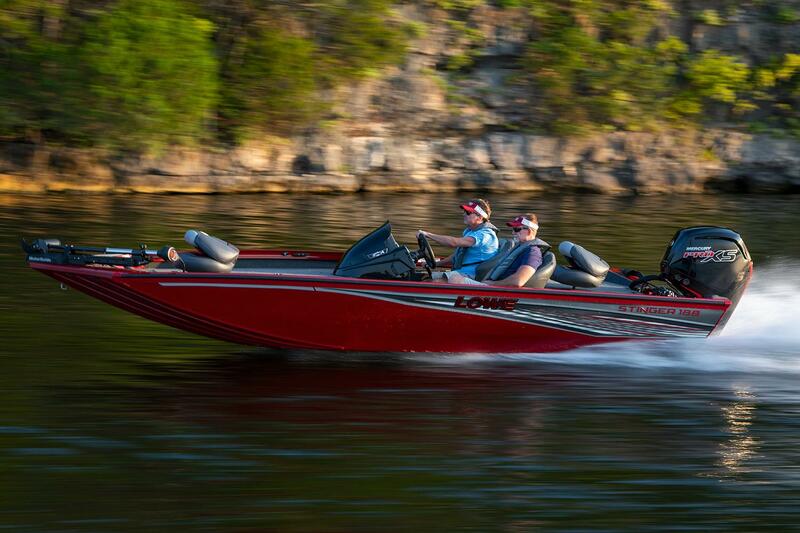 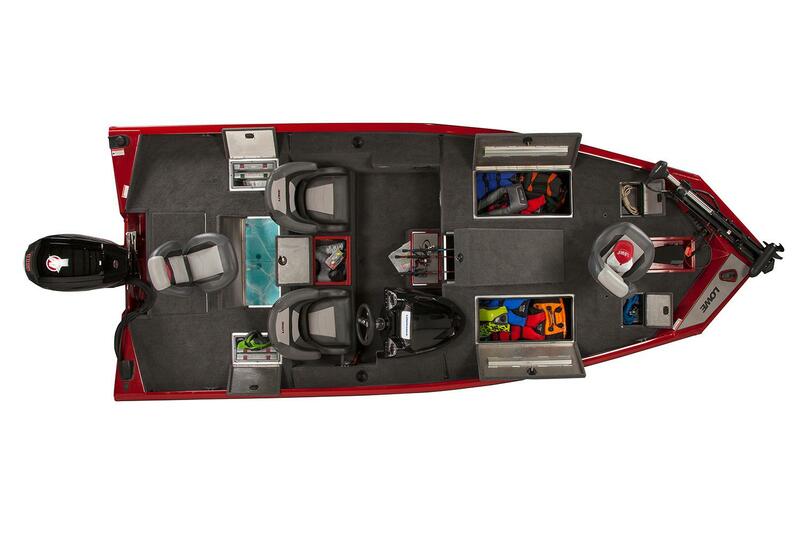 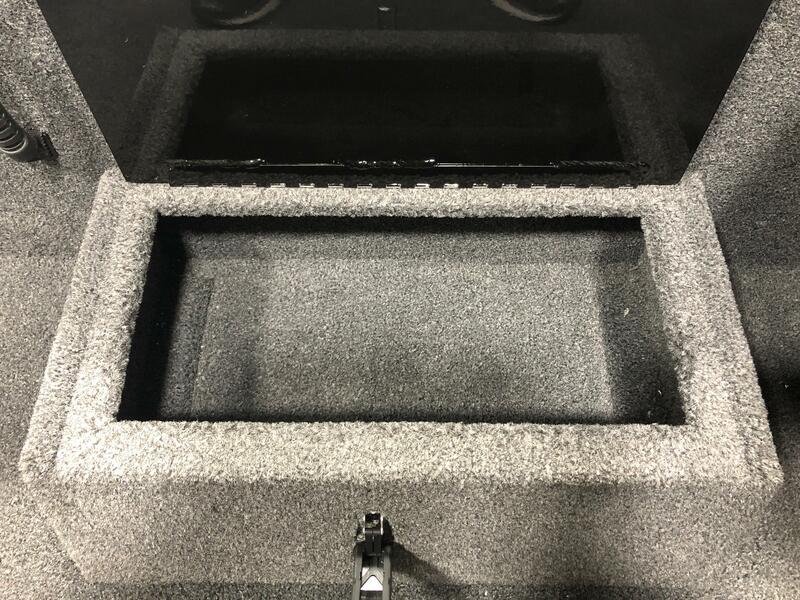 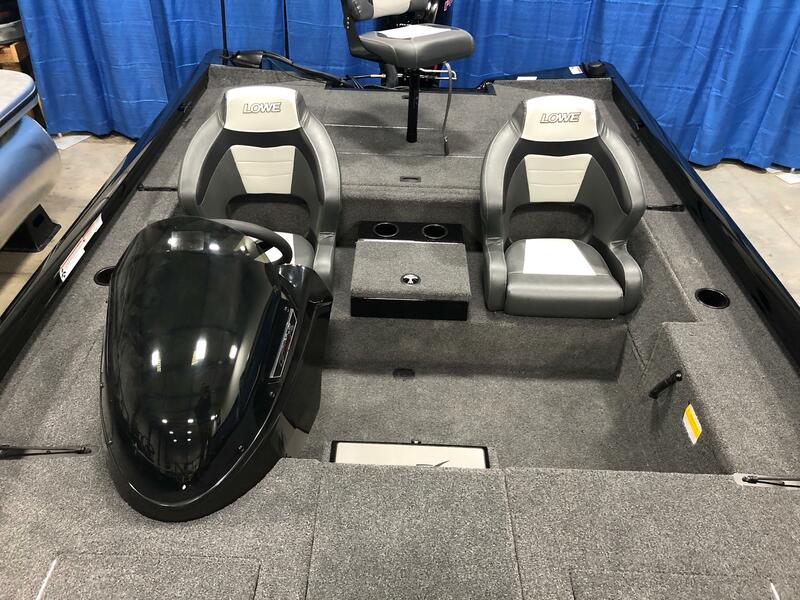 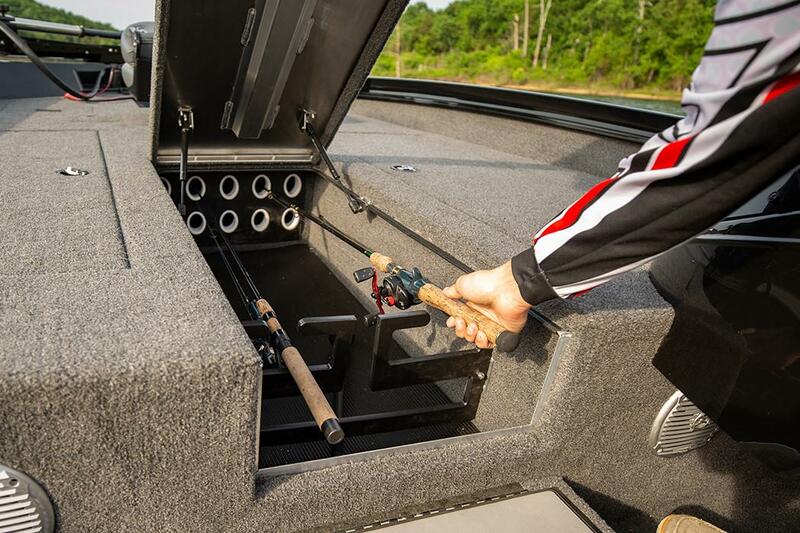 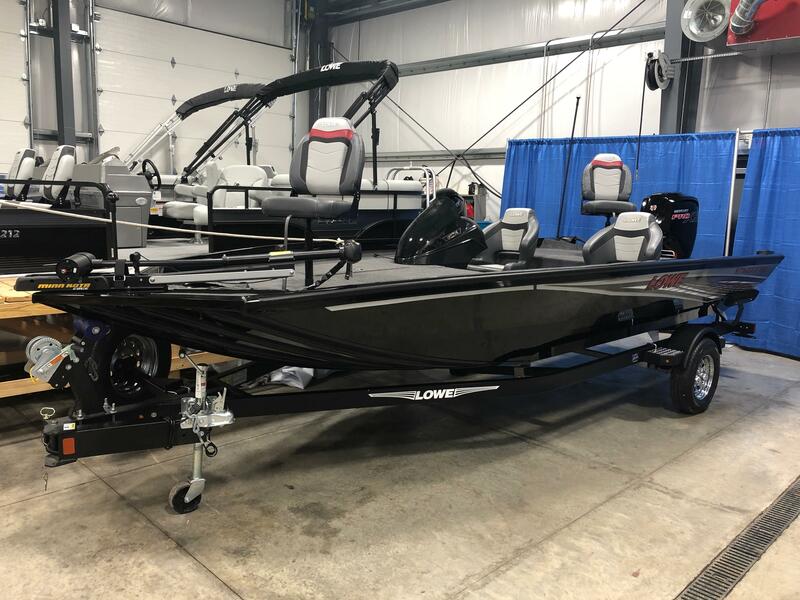 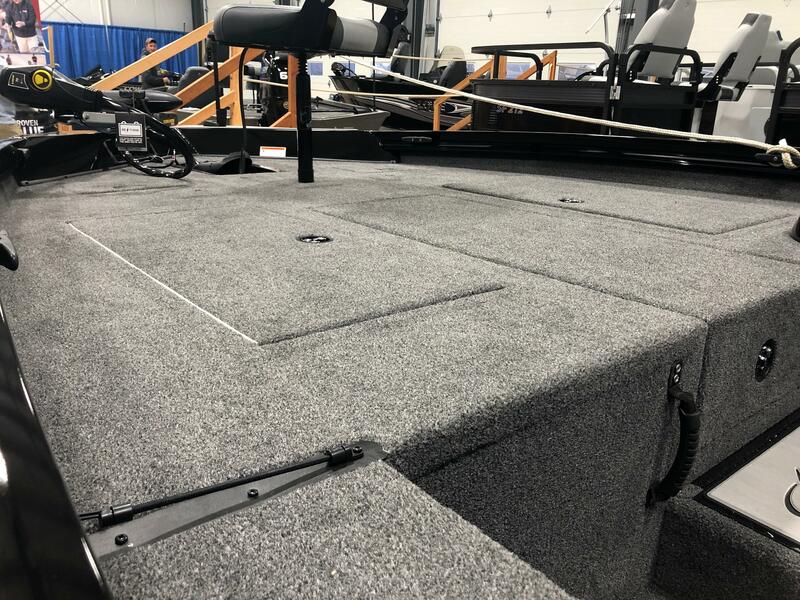 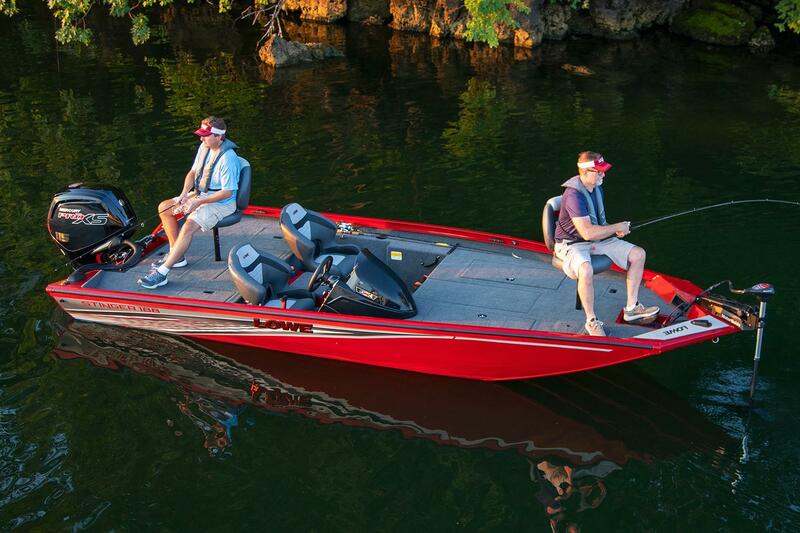 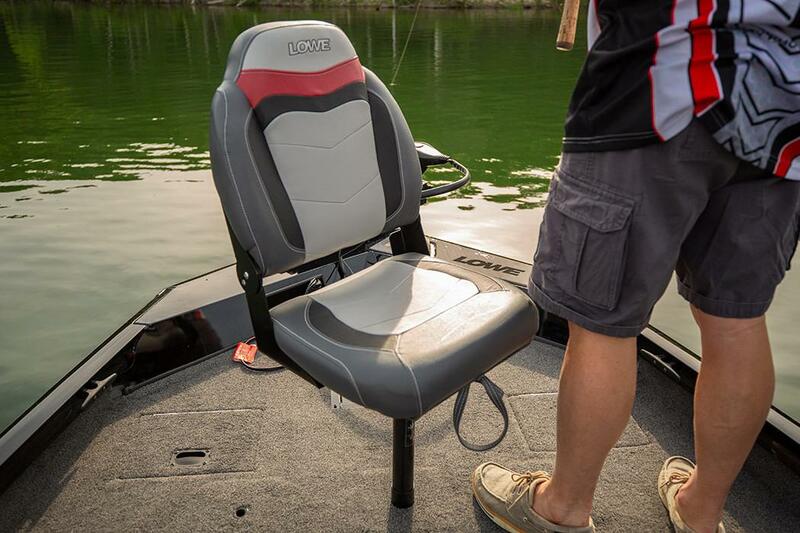 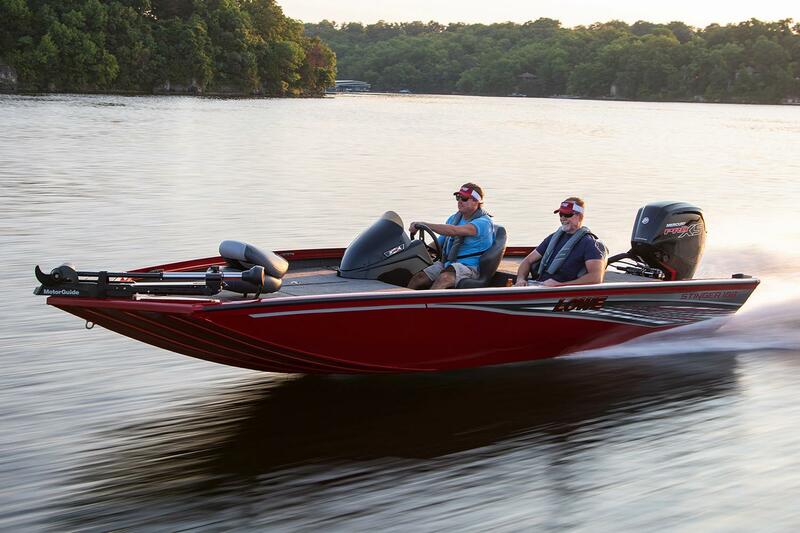 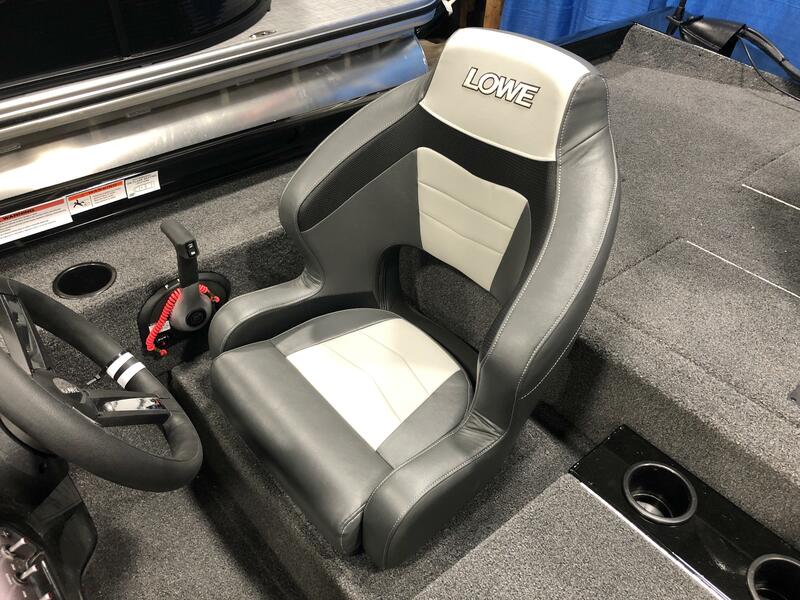 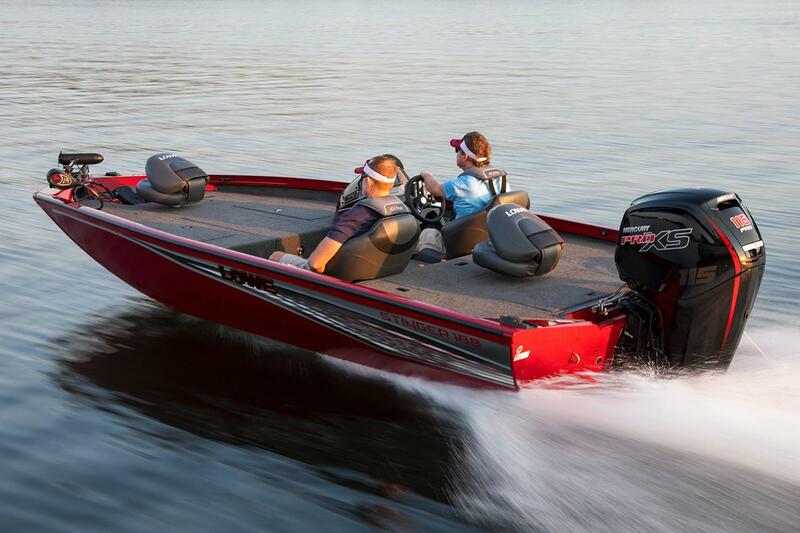 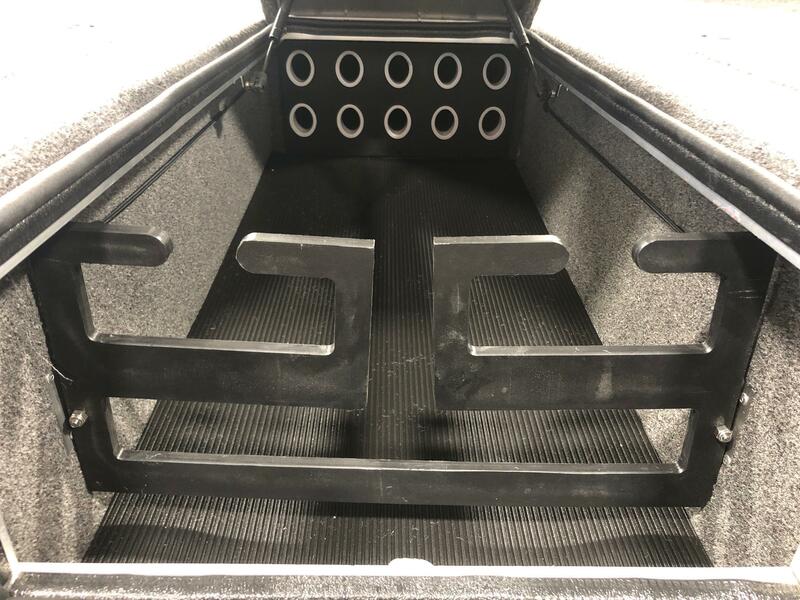 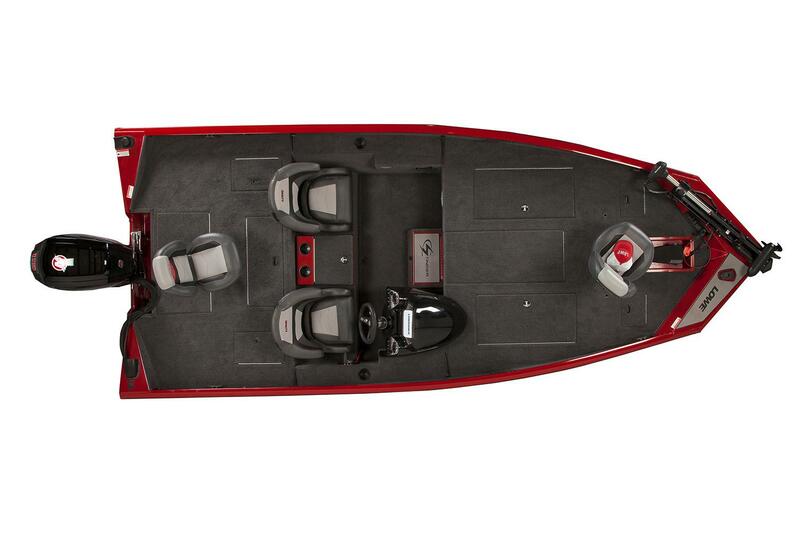 Here is a 2019 Lowe Stinger 188 aluminum bass boat. 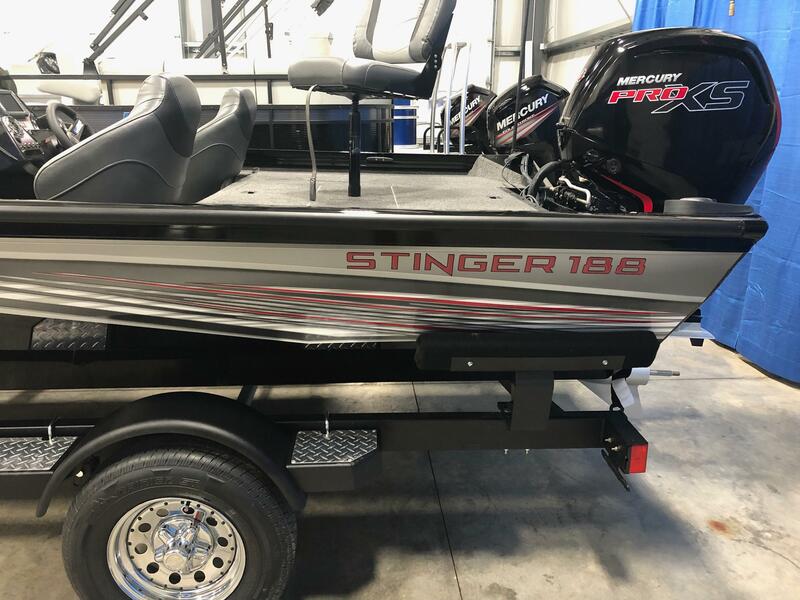 This Stinger measures in at 18 feet 8 inches long, has a 94 inch beam and will carry 29 gallons of fuel. 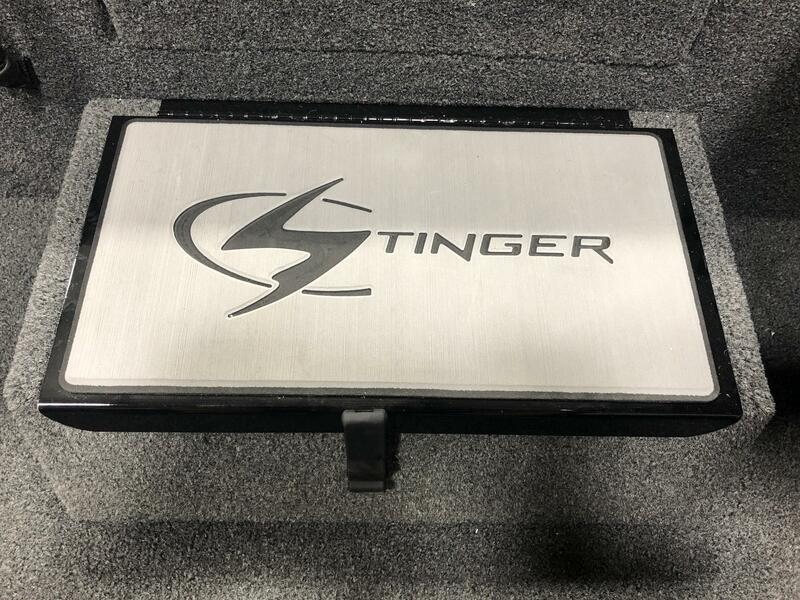 The 2019 Stinger 188 comes with some awesome new features this year. 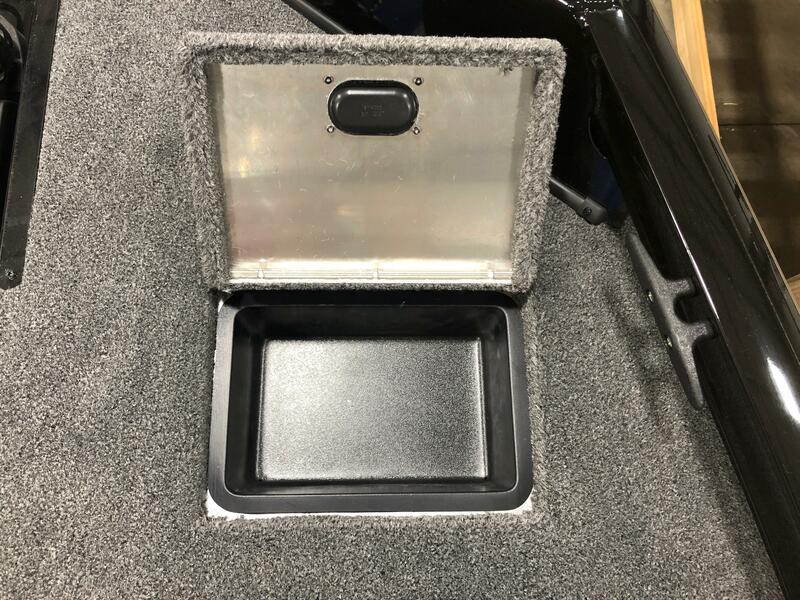 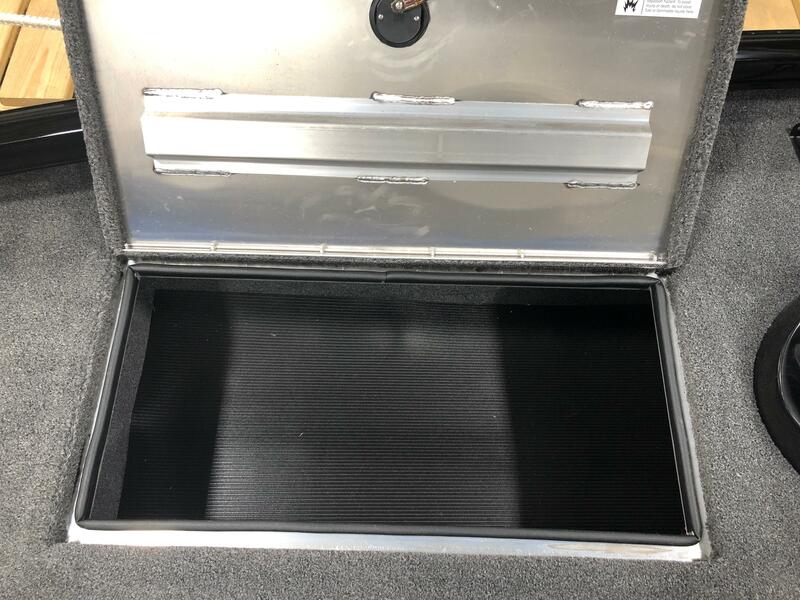 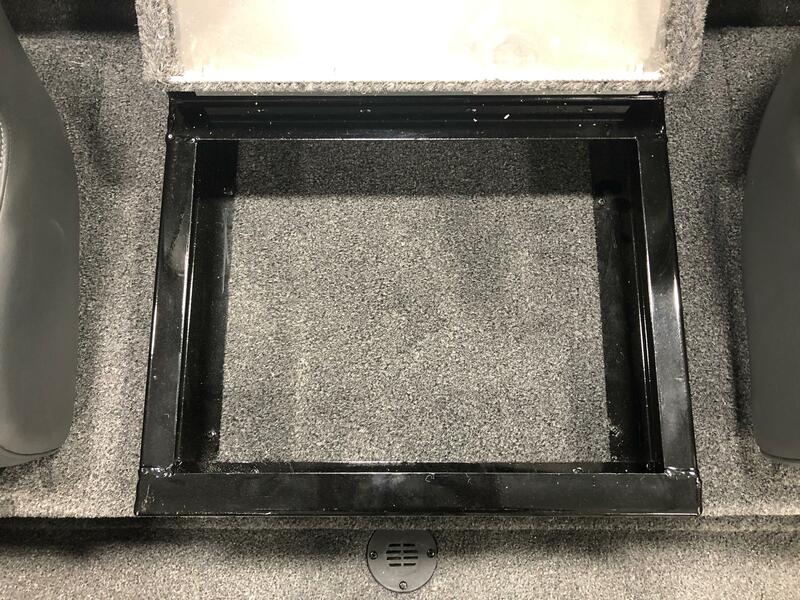 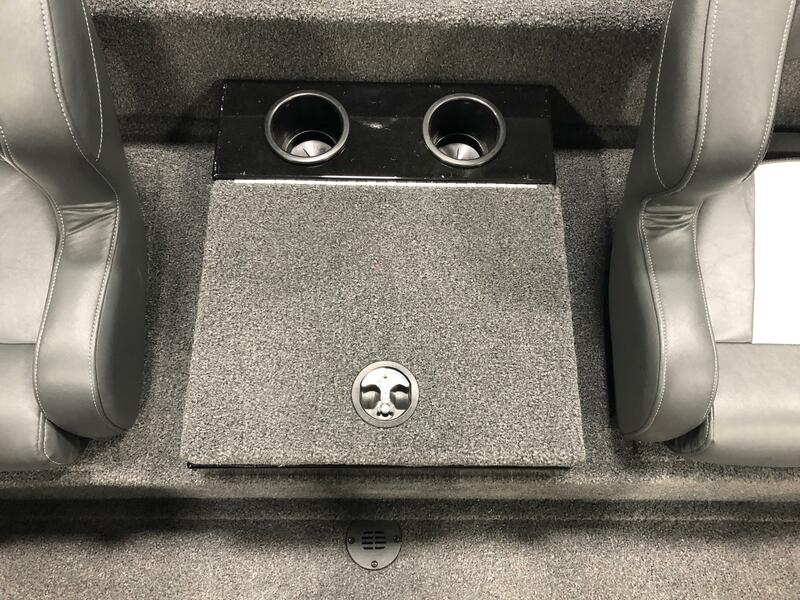 Premium driver and passenger bucket seats for a very comfortable ride, new console layout and a storage compartment coin box between the seats. 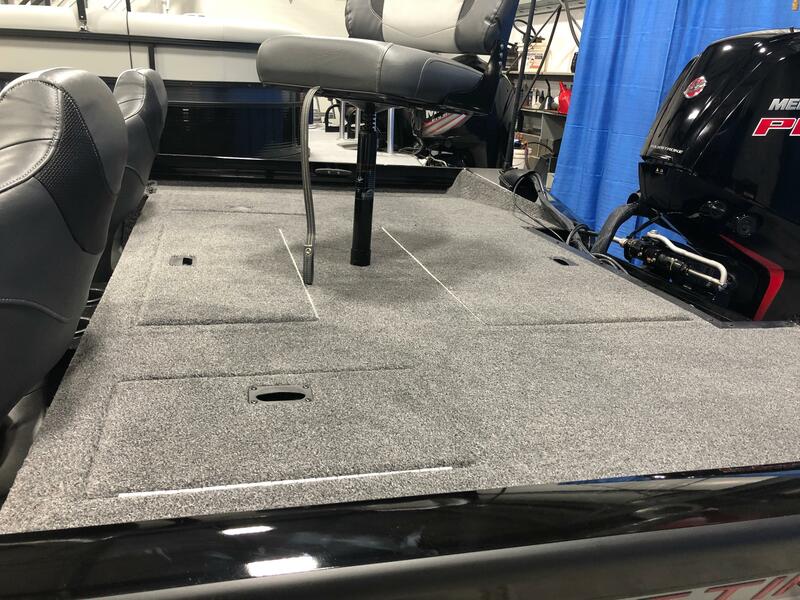 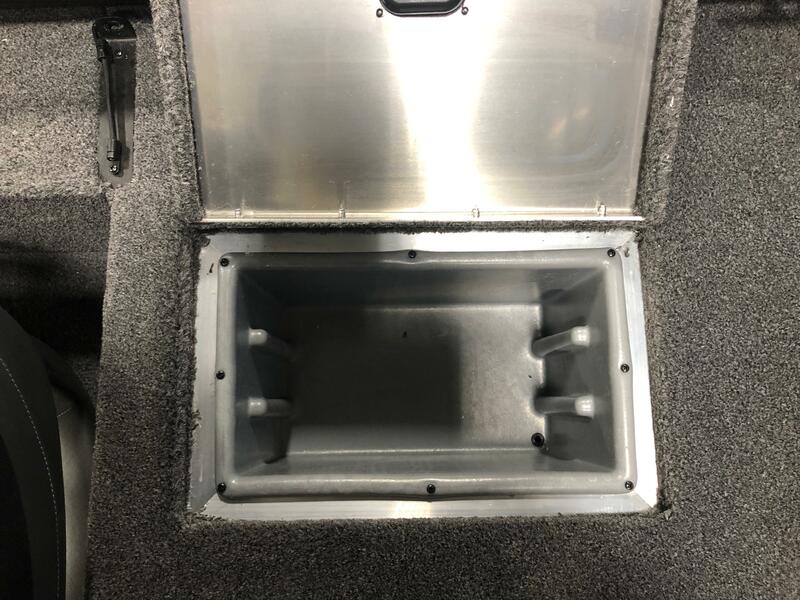 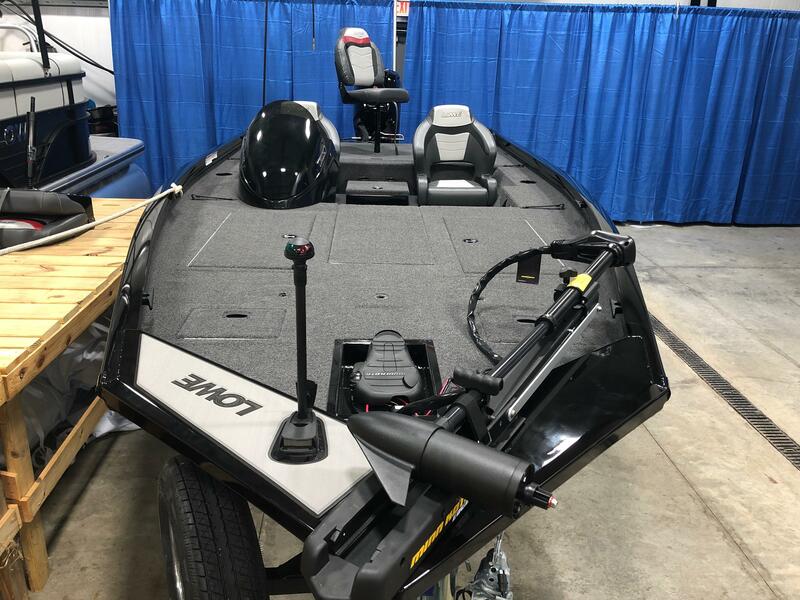 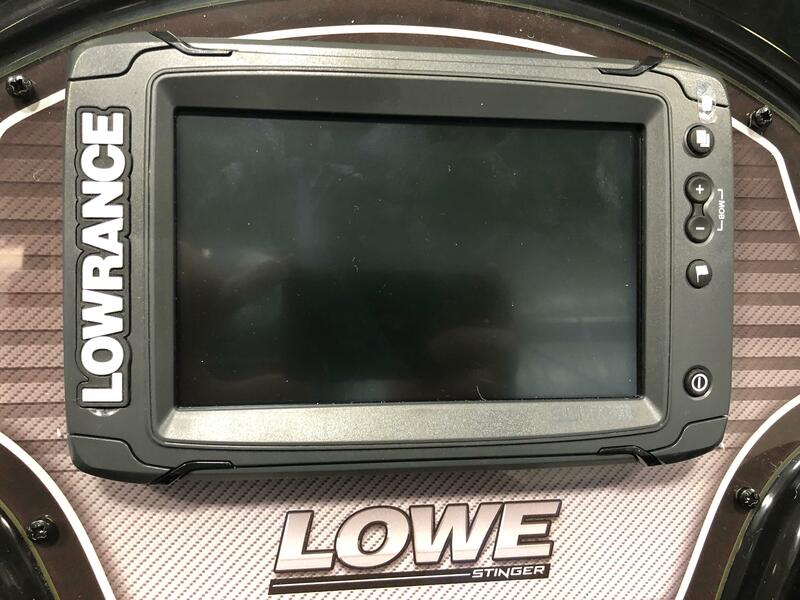 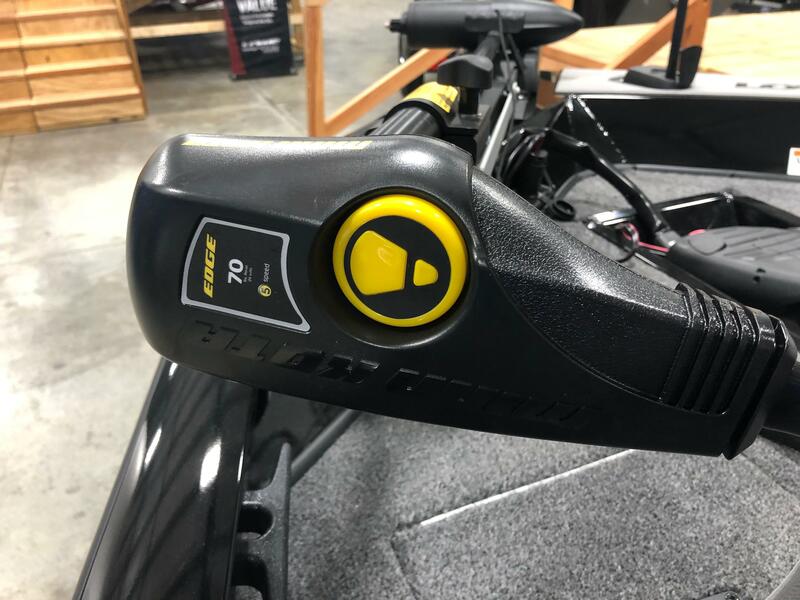 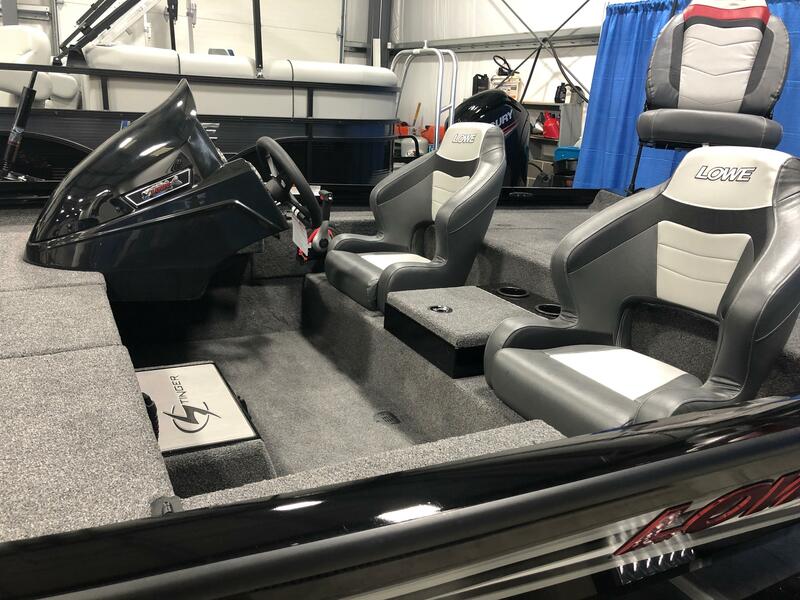 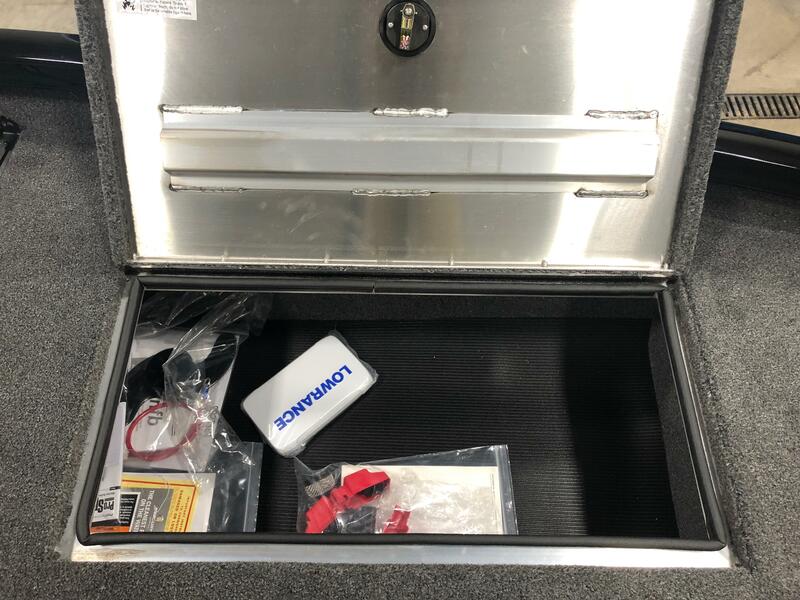 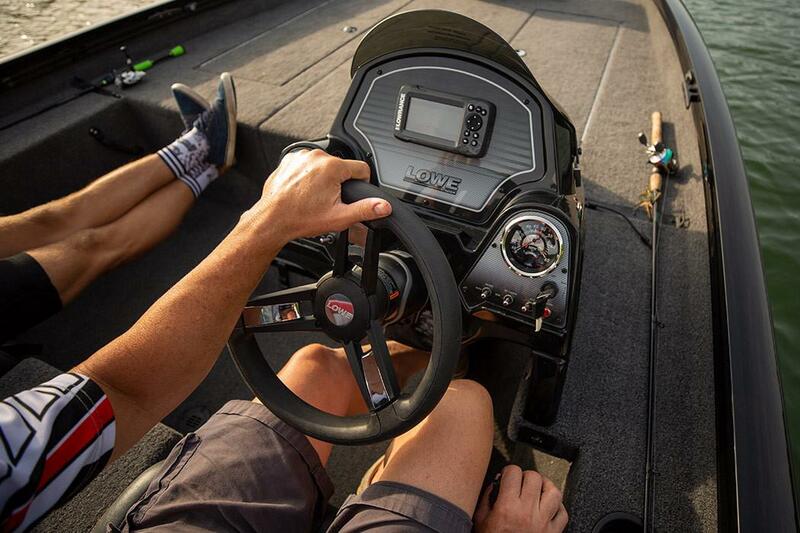 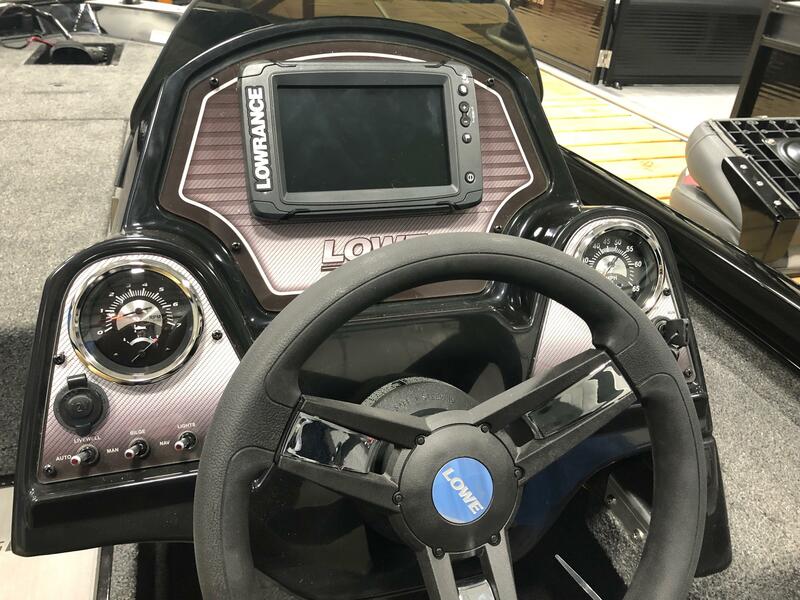 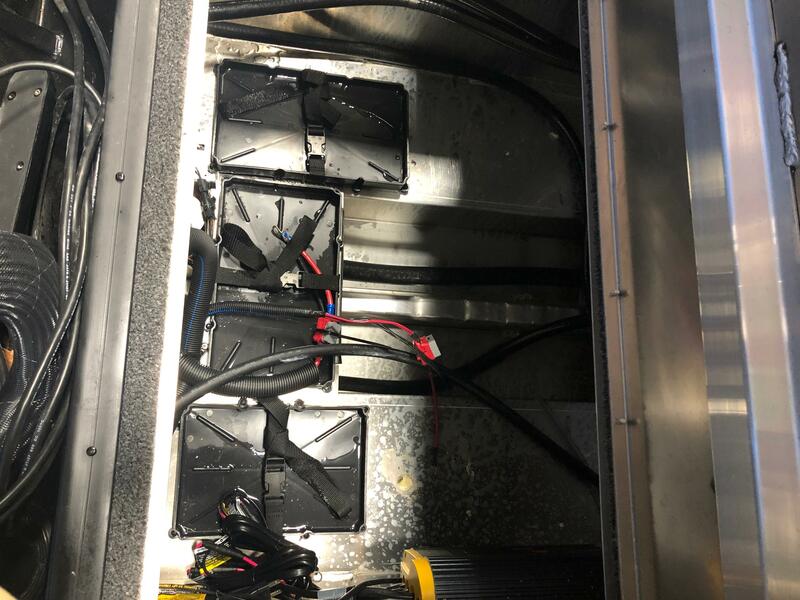 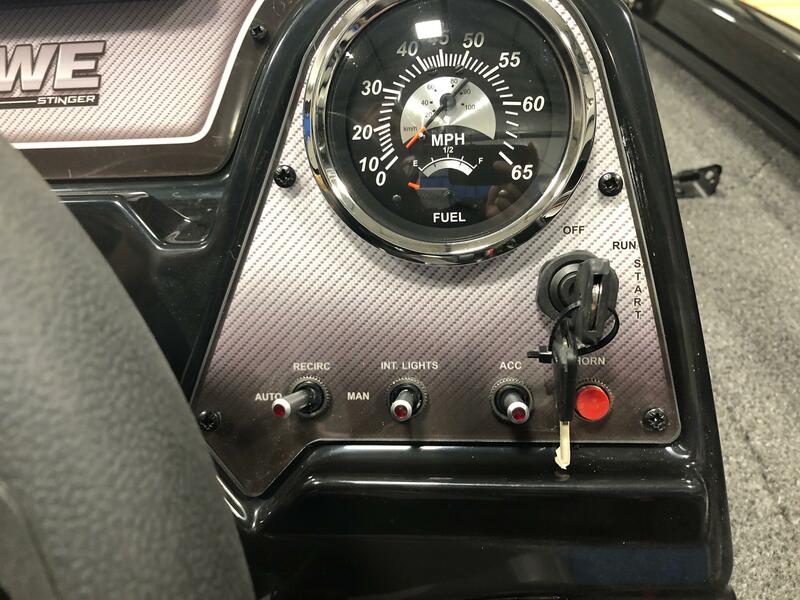 This unit has been upgraded with a Minn Kota 70# Edge trolling motor, Lowrance 7TI graph in dash, Total scan transducer, 3 bank battery charger and a spare tire. 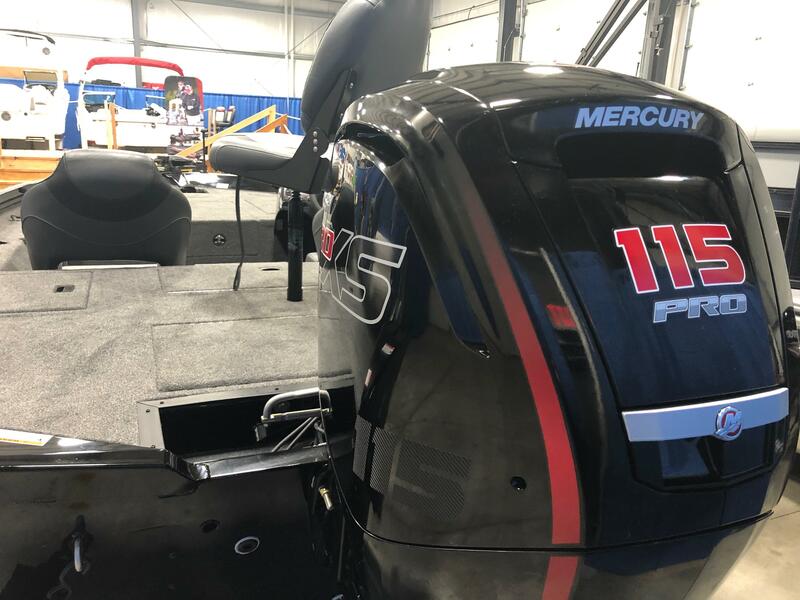 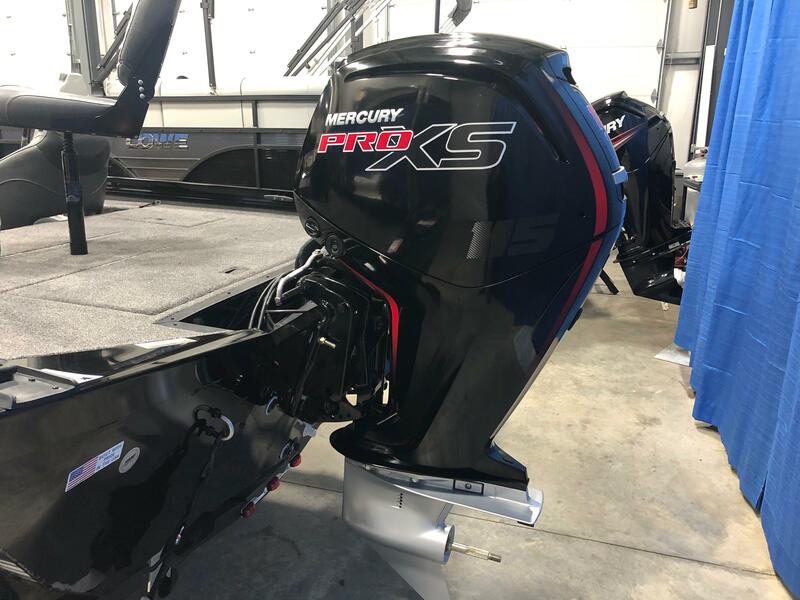 This Stinger is powered by a Mercury 115 hp Pro XS 4-stroke outboard. 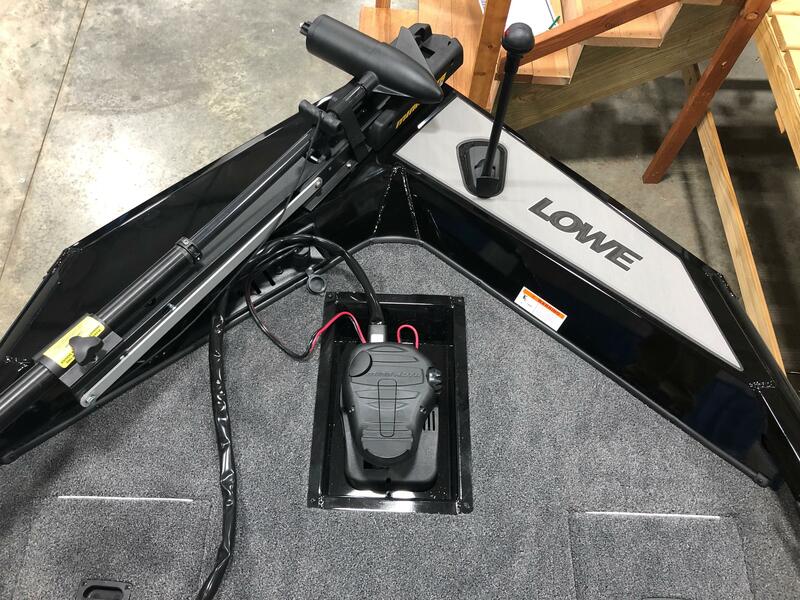 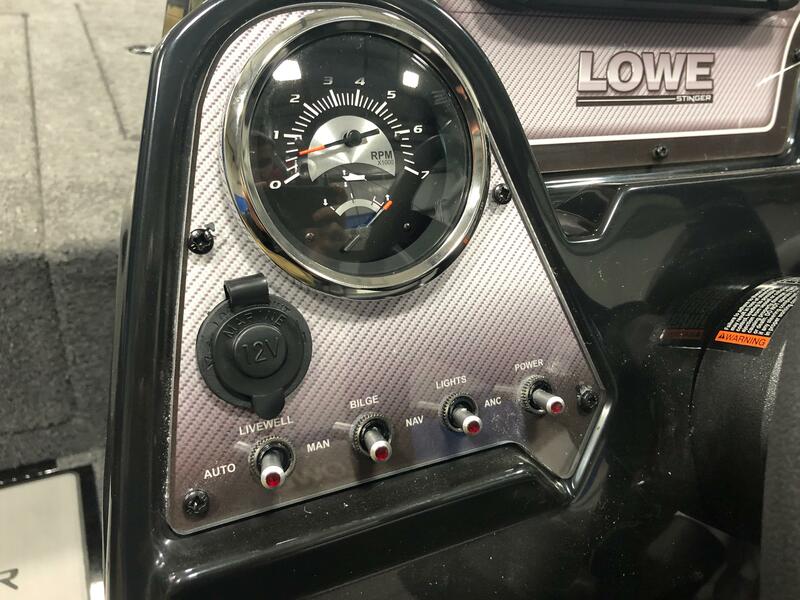 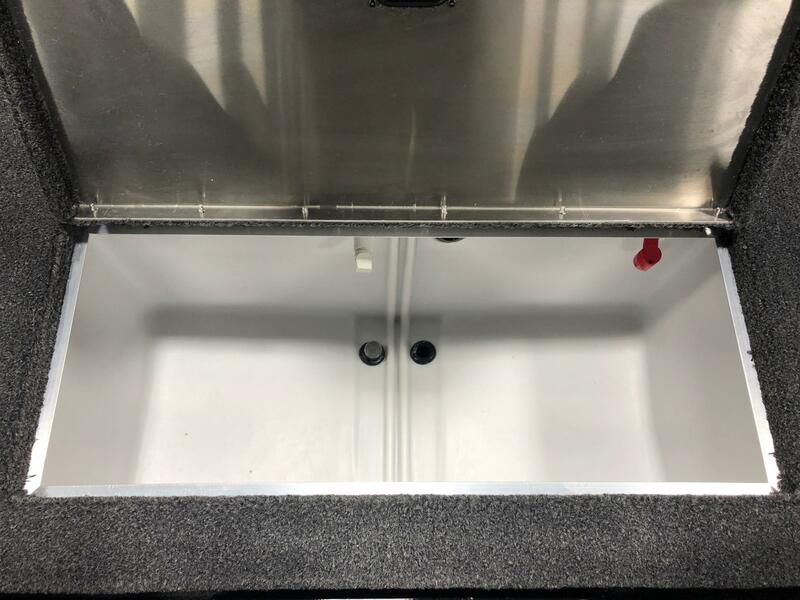 Please call us today at (513)-855-4402 with any questions you have about Lowe boats.